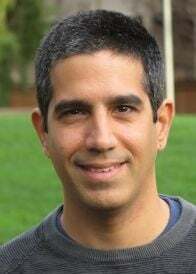 Dr. Aviv Mezer joined the Edmond and Lily Safra Center for Brain Sciences (ELSC), at the Hebrew University of Jerusalem in the fall of 2014. Dr. Mezer’s lab, the Belgian Friends Laboratory for the Study of Neurodegenerative Diseases, studies the relationship between brain anatomy, function, and behavior in the normal population and in neurological disorders. The lab’s work is focused on detecting differences between individual brains using quantitative MRI methods. Dr. Mezer did his graduate and undergraduate studies in biochemistry at Tel-Aviv University. He then worked with Professor Yaniv Assaf, researching diffusion and resting state MRI at Tel Aviv University. Before starting the faculty position at the Hebrew University, Dr. Mezer was a postdoc and a research associate in Professor Brian Wandell’s lab at Stanford University.